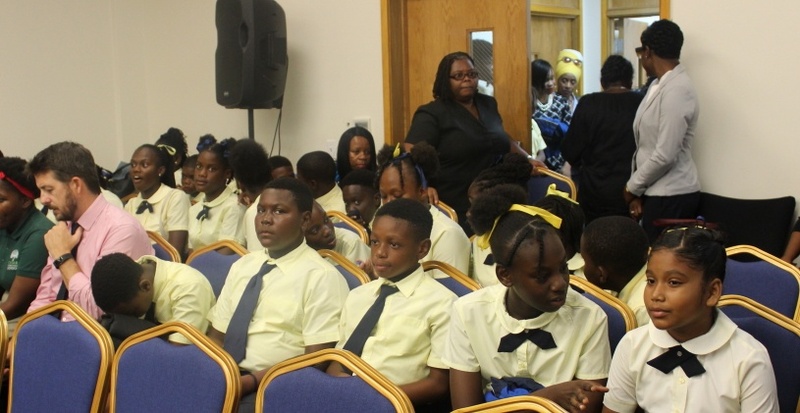 The need for better career guidance to be provided for young people is being stressed, as Minister of Education and Culture the Honourable Myron Walwyn is lamenting the lack thereof. Speaking at a recent event, the Minister urged parents to get more involved in preparing their children for their future careers. “Try to hone the skills of your child,” he said. He explained that the lack of sufficient guidance in this regard tends to affect young people. “And you have to ensure that when they’re in high school for instance, that you give them the guidance that they need that could help them along their career path because we find very often many of them are playing catch up because they did the wrong subject that is not in line with what their career path is,” he related. When parents don’t play this role, the Minister said teachers are affected as they have to step in and bridge that divide. “Parenting is so different than it was so many years ago…and teachers find themselves overwhelmed with filling the gaps for parents. And certainly we need the help,” the Minister said. One of the few things I agree with Myron on. Children need guidance on both white collar jobs and trades. Yea we need corporate admins, and IT people, but we also need firemen, plumbers, necromancers and police, just to say a few. What ever happen to the trade of necromancy anyway? It was a skilled mastered by numerous BVIslanders but has dwindled down to just a few practioners. Since there is such a demand for their services in church and local politics, why isn’t government pushing more to learn about it?... ?